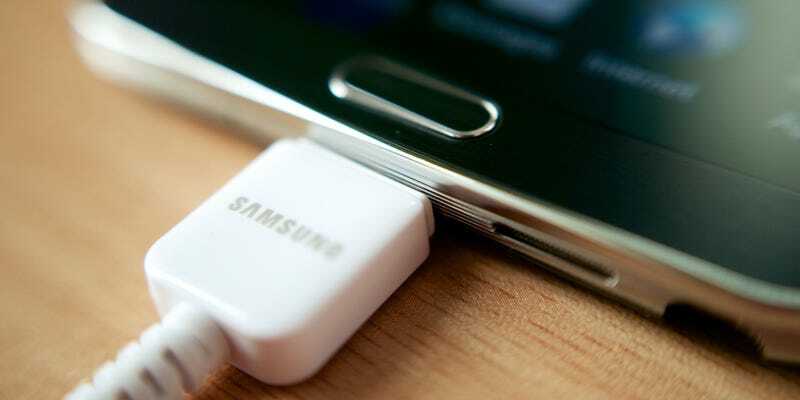 Most phones have some kind of quick charge system these days and on Android many of them are powered by Qualcomm’s Quick Charge. But the technology has been given an overhaul, and the next-gen version will take a dead phone to 80 percent of charge in just 35 minutes. That is lightning fast. Qualcomm has announced that version 3.0 of its Quick Charge technology, which will be baked into its 2016 chips, will feature a new Intelligent Negotiation for Optimum Voltage (INOV) algorithm. That sounds awful but will put a smile on your face: it will constantly monitor the battery during charging to supply the optimal power to the cell. Unlike the last version, which could supply just 5V, 9V, 12V or 20V depending on the situation, the new system supplies any voltage, in 200mV increments, from 3.6V to 20V. In turn, it makes the charging process far more efficient. It’ll be twice as fast as the first version of the technology in fact, providing a charge from flat to 80 percent in just over half an hour. Qualcomm also suggests that smoothing the steps of power delivery will also be kinder to the battery, helping improve the cycle life. But then, if it only takes 30 minutes to charge the thing to 80 percent, you might not even care about that. The new features are set to be offered on Snapdragon 820, 620, 618, 617 and 430 and processors, which means that they should be available on phones some time next year. We can’t wait.